Coming August 25, 2016 - Available for Pre-order Exclusively at iBooks! In the final volume of the Seasons of Love Quartet, well-loved characters from SEDUCING THE BRIDE (Brides of Mayfair, Book 1) and TAMING THE BRIDE (Brides of Mayfair, Book 2), join a new group of students at the Weston Academy for Young Ladies—including the unforgettable Gemma Forrest. Hiding from the incredibly handsome Viscount Courtenay is the last thing Gemma expects to do when she agrees to help with May Day preparations for the Weston Academy for Young Ladies. But that is exactly what she finds herself doing when she sees the man she once left standing at the altar. The Honorable Miss Gemma Forest will go to any lengths to protect her identity—assuming a different name, even hurling herself into the mud when Lord Courtenay turns up! Nothing can deny the passion that still burns between Gemma and the famous viscount, a war hero and former comrade of Alfred, Lord Weston, and his friend, the Earl of Ravenwood. When Lord Courtenay realizes he’s finally found his runaway bride, he does something completely unexpected. Gemma’s carefully constructed plans for a new life begin to unravel, and she is forced to watch as her former fiancé vows to find another bride amongst the exquisite young ladies graduating from the Weston Academy. However, as May Day draws closer, Lord Courtenay vows to turn spring into a season of seduction. 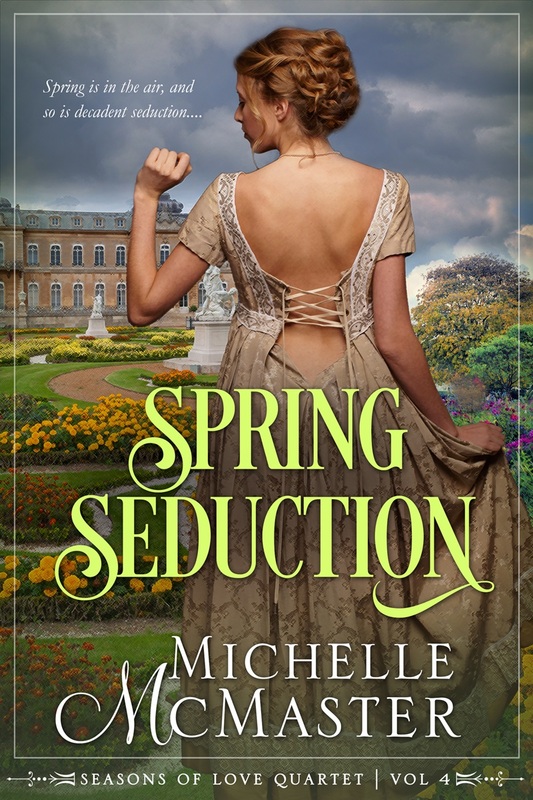 The handsome lord will inspire Gemma to remember their shared passion in a wicked dance of desire, even while a scandalous secret from her past could threaten the fragile bonds between the star-crossed lovers, and separate them forever….